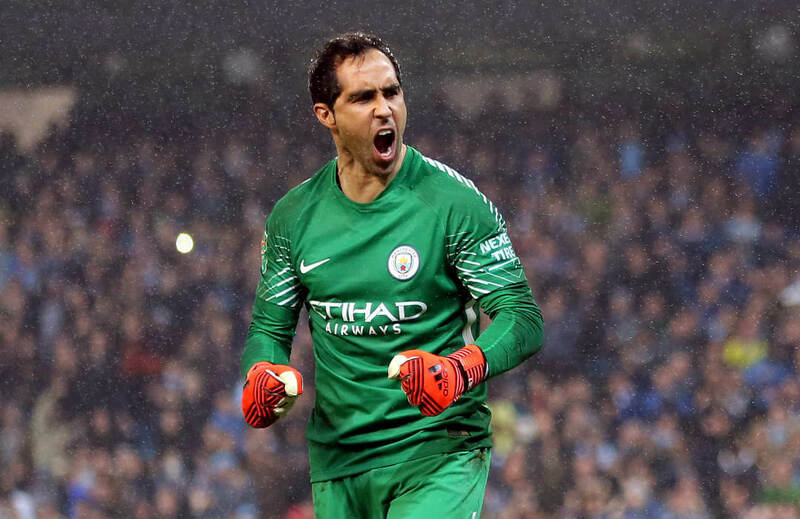 Claudio Bravo finally made Manchester City fans feel his importance after the goalkeeper’s performance both literally and figuratively saved the club as the Blues beat Wolverhampton Wanderers on penalties 4-1 in the English League Cup. The former Barcelona keeper made three saves in regular time and again shone in the shootout with two denials on Anfred N’Diaye and Conor Coady after the match ended as a scoreless affair. The loss would be hard to take for the Wolves after such a fantastic defensive performance, as they became the first team to stop City from finding the back of the net this season. Nuno Santo’s men could have scored too if not for Bravo’s brilliance in three one-on-one occasions, blocking two efforts from Bright Enobakhare that sandwiched a shot from Helder Costa. City attacker Sergio Aguero, who tied Eric Brook’s club record of 177 goals in their game against Burnley, failed to set a new record despite trying on numerous situations. Guardiola believes Aguero could have had broken the record had they used a different ball. “The ball is not acceptable to play with at this level. It is not a serious ball for a professional game. I can say that after we win. If we don’t win and I say that it is an excuse.